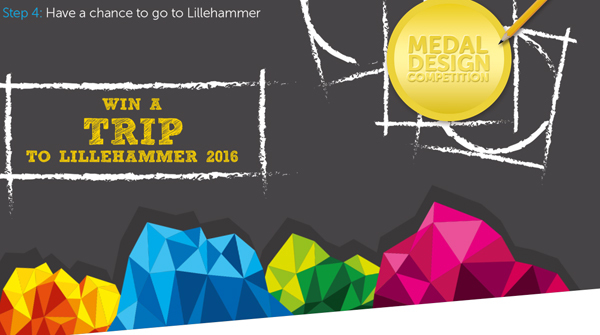 IOC launches design competition for the medals among young designers for the Youth Olympic Games in Lillehammer, 2016. The International Olympic Committee (IOC) today launched a competition offering fans and young designers the opportunity to make Olympic history by designing the medal for the Lillehammer 2016 Winter Youth Olympic Games. In keeping with the IOC’s mission for the Youth Olympic Games to be produced for young people, by young people, the winning design will be selected by a judging panel made up of the Young Ambassadors and Young Reporters who have been involved in the YOG since the first edition in Singapore in 2010. Also joining the panel will be IOC Members Claudia Bokel, Chair of the IOC Athletes’ Commission and Olympic silver medalist in fencing, and Angela Ruggiero, Chair of the IOC Coordination Commission for Lillehammer 2016 and Olympic champion in ice hockey. 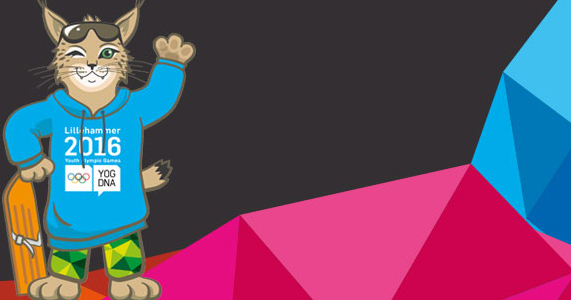 Odd-looking mascot for the upcoming Youth Olympic Games. The winning design will be selected in June 2015 and this design will then feature on the face of the gold, silver and bronze medals awarded in Lillehammer from 12 to 21 February 2016. In addition to the prestige of creating Olympic history, the winning designer will win a trip to Lillehammer 2016, which includes tickets to the Opening Ceremony and sports competition, as well as a full collection of medals featuring their design. • Design submissions will be accepted from 25 March to 1 June 2015. • The judging period will take place between 3 June and 17 June 2015. • The winner will be announced at the end of June 2015.